Why does He say hold on, when you feel like quitting? Why does He say let that go? Why does He say forgive them? Why does He speak life when all you can see around you is death? Why does He say have faith in spite of what you see? Because He knows the complete plan He has for our lives. The Message version says, I know what I’m doing. I have it all planned out – plans to take care of you, not abandon you, plans to give you the future you hope for. 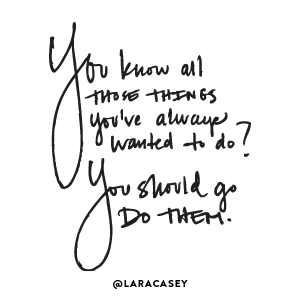 Can not tell you how many times I started out thinking I knew exactly what to do or what I wanted. Only to end up so far away from “my” plan but I find comfort in knowing that even when I’m lost, God is fully aware of both my current location and my final end. Stop by the Internet Cafe for others serving up fresh doses of the Word in graphics today. Praise God He truly knows what He is doing and that just slays our frett and stress. Girl, I love the new look of your blog! Beautiful! Now . . . on to the post. I love this too. What an important truth to remember. We don't always understand why He wants us to do certain things, but HE DOES!! Trust, trust, trust in His plan is what we have to do . . . Someday it will all make sense. beautiful message to ponder, the verse is one of my favorites, praise the Lord for no matter what circumstances we are into, His plan for us remains wonderful and great. I'm so glad that His plan is so much better than mine. I just need to surrender to His. 🙂 Great Word and pic today! I'm so thankful that the Lord is directing my steps and guiding my plans. I give thanks to Him for being a part of His plans for this generation. I'm trying to stay away from the computer, but I'm checking in once in awhile. Your post really spoke to me today. I'm reading a wonderful, spirit-filled, book called Crazy Love. You should take a look at it. It has me thinking about God so much more throughout the day. Have a great Thanksgiving, Wanda! I love how you did this post! WOW WOW WOW! So good, thank you for sharing. Yes, it does, Ozjane, when we keep that truth in the forefront our minds. ThanksGlowinGirl! Yes much of it will never make sense on this side of Heaven but we must keep in mind that He's using it all as a part of His plan. Jhunnelle>It's one of my favorites too. Sherry, His super exceeds our own. It's just hard at times to get that wrapped around our mortal minds. Yvonne , i think we all do wonder why. Elliethanks. Not lost to Him anyway. Joan thanks for the scripture reference you added. We're taking steps along His predestined plan. Rae honored you'd take time to peep in today. 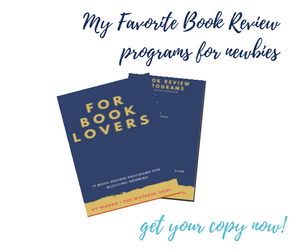 I'm a book lover and I've heard a lot of good things about the book. I'll have to add it to my TBR list. Thanks for the recommendation. Continue to soak up His presence. Being married to a "builder" these look awful familiar to me! What a great VISUAL! I can't wait to share them with him! He'll get a kick out of this! Wanda, it's true…LOVE me that Message translation!! Oh and your new header is beaUtiful too!! AMEN and many blessings FALL on you Wanda… cuz I love your new fall look…simple beautiful! I love your message, The Message and that He holds the plan – completely in His hands. God had a different plan for my future, so YES, I will TRUST the Plan Maker… the Divine Master Planner, who holds it all in detail. So thankful we can rest in that trust and HOPE for our future. There is so much peace when we don't trouble ourselves with they "why?". Help us, Lord. Wonderful reminder of His promise! I know He knows what He is doing. And I will give Him thanks even when I don't feel like it, because it's what I'm commanded to do. And I will begin to truly feel thankful. He knows what He is doing. Hope you're doing well Sis. I absolutely love the hope and the promise found in Jeremiah 29:11. Thanks for the great thoughts. Your header is beautiful! I love this biblical word of Jeremiah. We can not give up! We must trust in God. Thanks for visiting my blog and leave your comment blessed. This is the verse that I've been always claiming to God… I am very positive indeed that God has a better plan for me.. I may lost hope sometimes but I will never ever QUIT! Keep posting such a great reminder! I love the new look,and your post is wonderful.Even through all of our why's God has wonderful plans in store for us,Amen. I'm so glad He has it all figured out! I have no idea. But I'm glad I can trust Him to know. Great WFW! So reassuring that He has a plan and purpose for our lives. And it's a plan to give us hope and future! He loves us so much! Thank you for your awesome graphic–I don't know how you ladies do these graphics–they awe me. And your post. how cool! I love this! Love and blessings and thank you for sharing! Beautiful reminder as usual. Just yesterday while driving down the highway in prayer, I said to the Lord that I would not ask why but simply ask for a glimpse of one of His particular promises in the natural. No, that's not always guaranteed, but His promises are most definitely assured. It's enough to know that in Him alone all of our why's are put to rest. Not always easy because these limited minds get in the way, but His grace is more than sufficient. Thanks for sharing, Wanda. Very comforting to know that He has our best interest at heart! Another great word! Amen! Thank you! I needed to hear this! He makes me move when I want to stay. He makes me wait when I want to go. Why, Lord – the question I've asked since I was young. "Because I KNOW…" He says. Weave my tapestry, Lord – use the threads that you desire. Complete the picture of my faith…lead me. Thanks for this inspiring and encouraging word. I believe "why" is a popular word in the Christian vocabulary. Great post Wanda. Blessings. He is in control indeed.